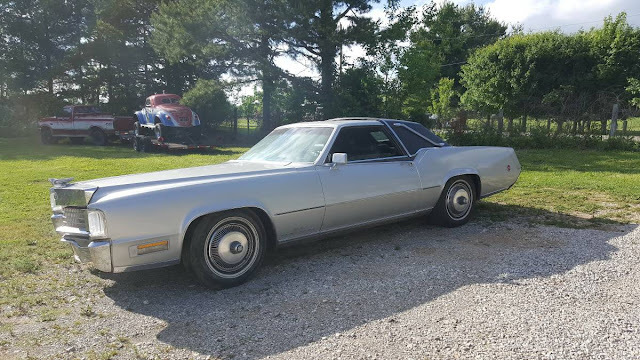 If a 1970 Caddy Eldorado is not quite pimp enough for you, what was a man to do? Back in the day, legendary car customizer George Barris created the Del Caballero package that was available at select dealerships. The end result was a car fit for none other than Huggy Bear Brown himself. 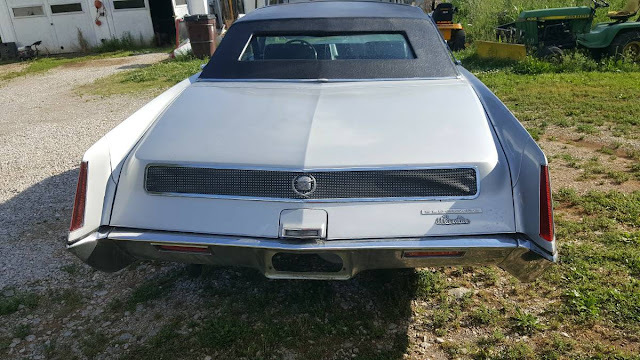 The package included: a landau half-top and irons, kustom grille, sunroof, aircraft interior lamps, a Derham-limousine type window in back, chrome moldings, kustom paint and deluxe wheel covers. Find this 1970 Cadillac Eldorado for sale in Louisville, KY for $8,000 via craigslist. 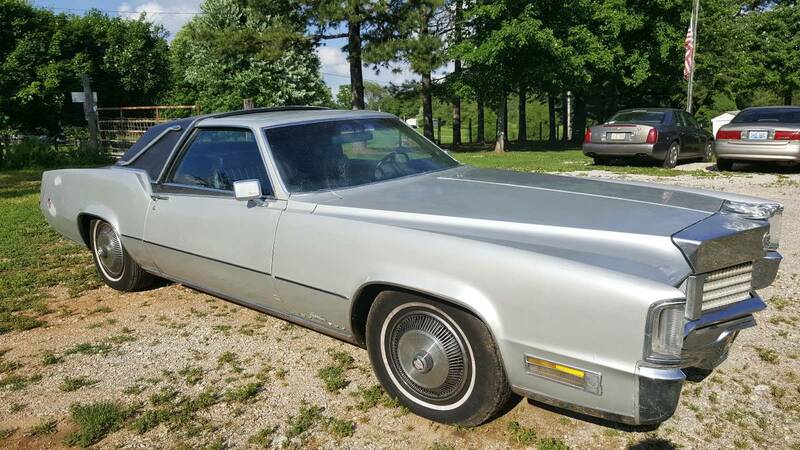 The Eldorado seems to have had limited use over the years and only accumulated 48,000 miles. The came equipped with the big boy 500 cube Caddy V8 engine which could turn the front tires into smoke with a good prod of the gas. 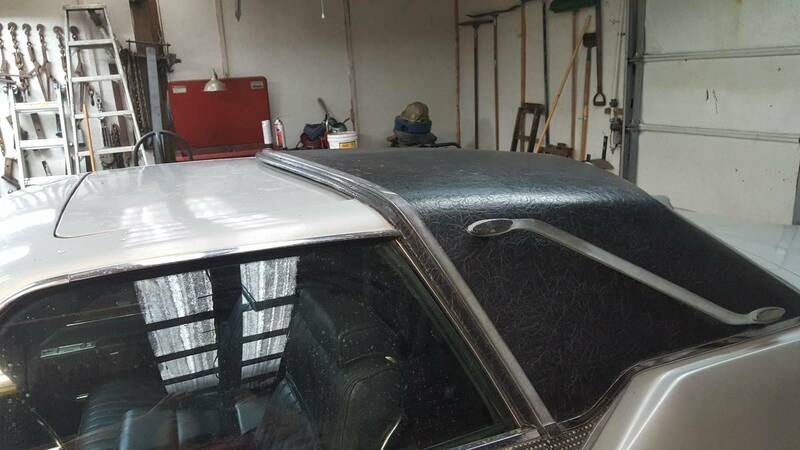 The back edge of the sunroof seems to be extremely close to the front edge of the landau roof. The black leather interior is said to be in good shape. The seller notes the acres of sheet metal are dent free. The front grill looks like a giant eagle's beak that was then chromed over! Cory got the sound system operational in his 1995 C36 AMG and can now reinstall the rest of the interior. I never knew about these. So cool it's like a rolling Vegas hotel. Rocks glasses with Scotch a necessity. See the bitchn gasser in the background? George Barris' Cataract Styling Phase. No, not an ethnic slur, I meant his eyes were hazed over. As a Cataract I resemble that remark! This actually seems a little tamer than his earlier work. Could he have been mellowing, or was this the wildest design he could slip past a GM endorsement? Btw, God help the soul trying to source replacement trim bits on this bad-boy. Pure unobtainium.